We are lucky to have one of the most picturesque shooting locations. We typically run single day beginners courses once per month starting in April. A number of our archers shoot competitively mostly in and around Surrey. We also shoot as a team. 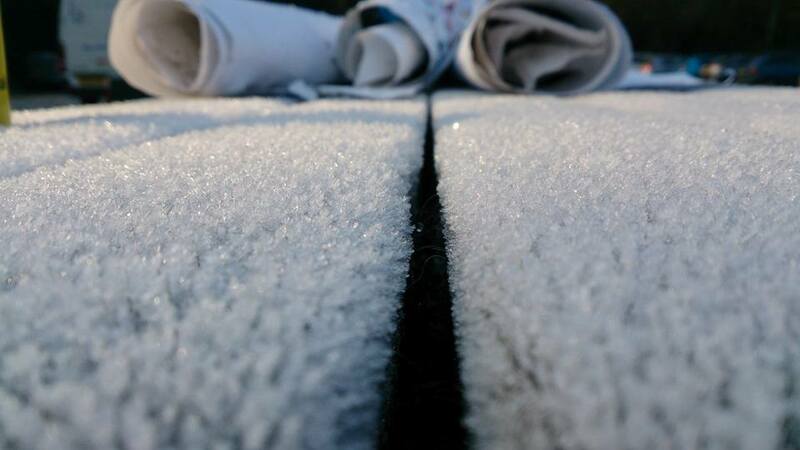 Our club is based just outside Farnham near the village of Elstead in Surrey. The shooting field is permanently available to our members affording the luxury of shooting any time you wish. 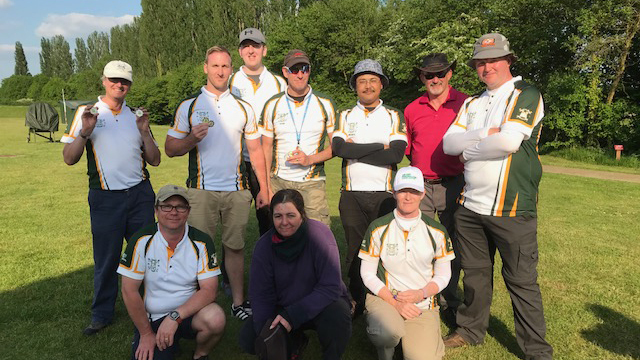 We do have a club evening on Tuesdays and shoot organised rounds on Sundays including a number of club trophy shoots throughout the year where any member is encouraged to join in. 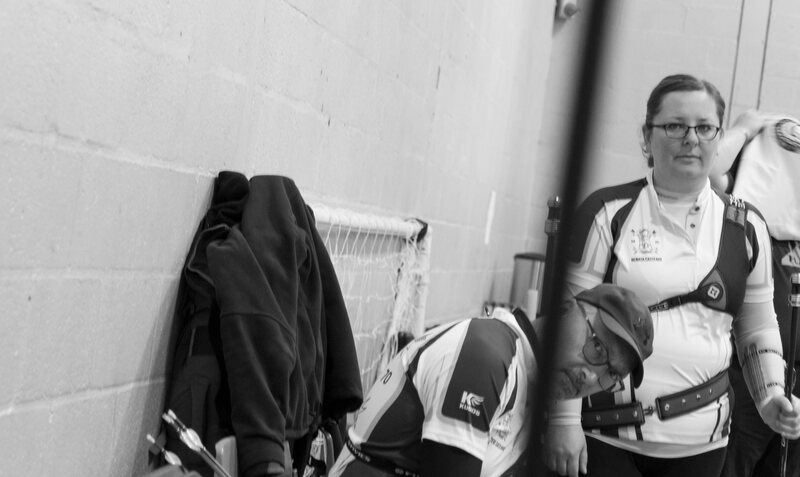 We have archers of all ages and abilities shooting locally and in national competitions. We also run a number beginners introductory sessions starting in April (see the beginners page for more details). The first leg of this years FLAG competition between Alton & Four Marks, Farnham, Guilford and Woking will be taking place at our field on April 28th. We look forwards to welcoming the other clubs to our field and lets see if we can have another great turnout! Great turn out for the Frostbite shoot in December. We have Longbow, Compound, Recurve, Junior and Barebow teams entered in the Surrey Postal competition this year. Breaking News: Farnham Archers win the Surrey Indoor Champs in the Team Category, Ladies Recurve and Lady Longbow!!! So the Surrey Indoor Champion Team consisted of Phil Harding, Kat Thorpe and Dave Paris! 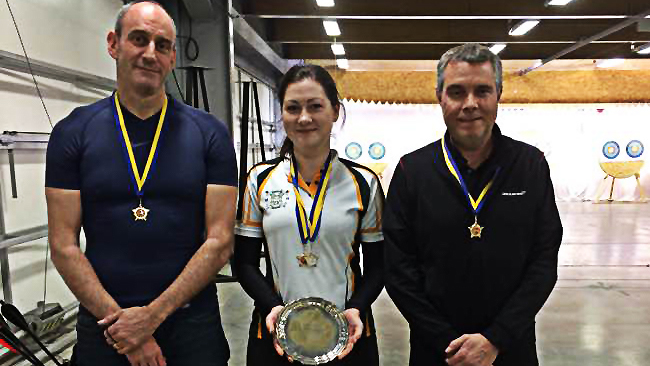 While Kat Thorpe won the Ladies Recurve title, making her the current Surrey Indoor Champ! This weekend was the Kings Cup at Chessington. Great event as always and as usual very well run. Nine of our archers took part in the third session on Saturday Renata d'Entrecasteaux, Kat Thorpe, Debbie Annible, Brian Avery, Phil Harding, Dave Paris, Steve d'Entrecasteaux, Graeme Higgs and me. 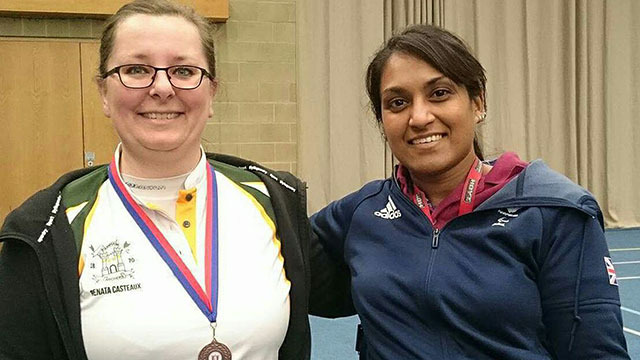 Well done to Julie Pilbeam, for winning the Bronze medal with her longbow, at Guildford's WA25 shoot. Well done also to our recurve Team for winning Bronze, just pipped into second place by 1 point! A little warm up for the Surrey County Indoor Champs was the Berkshire Indoor Champs. We did ok with Ren taking second in the ladies visitors, while Steve took third place for the gents visitors and dang it there was no visitor team!